Let your imagination go on May 30th for National Creativity Day! Whether you are an artist, writer, musician, filmmaker, blogger, photographer, graphic artist, or any of 100 other creative personalities, the world is going to celebrate you and your creative pursuit. Give your students, your friends, and your family an invitation to fly their Creativity Flag! Wear your creativity on your sleeve with a colorful outfit! Click over to the website http://NationalCreativityDay.com for interviews, articles, and strategies for becoming more creative and building creativity into your daily life. Use #NationalCreativityDay to share on Social media. 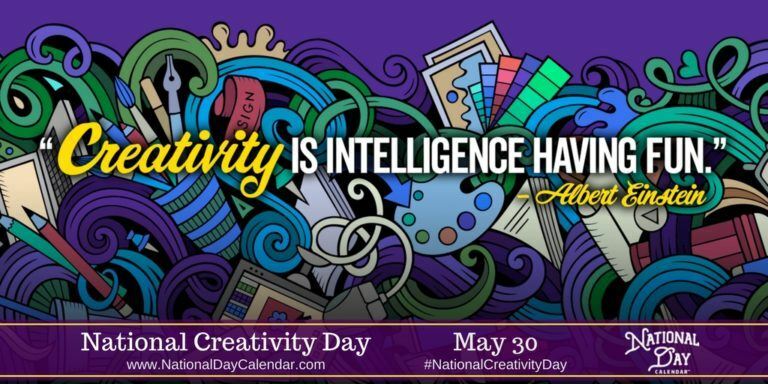 Hal Croasmun and ScreenwritingU founded National Creativity Day in 2018 to celebrate the imaginative spirits everywhere and to encourage them to keep creating.